Discussion in 'UFC Discussion' started by -Dim-, Apr 4, 2019. Russian media are reporting that Alexander Volkov was pulled from his fight against Alistair Overeem due to a potential USADA violation. The reason for removing Russian heavyweight Alexander Volkov from the UFC tournament in St. Petersburg has become known. It has been revealed to "Match TV", the reason for removing the Russians from the tournament was the violation of the anti-doping promotion policy. 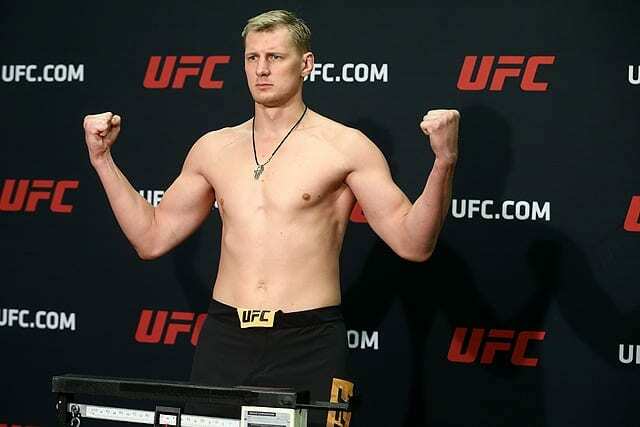 Alexander Volkov was due to meet with Alistair Overeem in the main event of UFC Fight Night 149 in St. Petersburg. He will be replaced by another Russian, Alexey Oleinik. For his part, Volkov has said it is due to "Health problems that do not depend on my personally"
Hello! I would like to clarify the situation with the cancellation of my fight. To my great regret, my fight will not take place due to health problems that do not depend on me personally. A lot of effort was put in preparation for this fight, and I really wanted to please you with a beautiful duel, but not all in our hands. I do not give up, I am sure that soon you will see me in the octagon in better shape. Thank you all for your support! StormGymLuton, MMA_enthusiast, MMun and 16 others like this. Good, now they need to overturn the Werdum fight. VVarhead, ChumpyKiwi, James O'Keefe and 6 others like this. Are two of those Magomed? EdmundsEmptyBankAccount, Joseph_McBride, CBohl and 2 others like this. A true comedy that the UFC and USADA declared they would no longer announce these things, as though this in any way enhances their integrity. MMA_enthusiast, Lasse Stefanz, EdmundsEmptyBankAccount and 18 others like this. Moin, wwkirk, StayCranked and 1 other person like this. kse08, pick999, Egnuldt and 20 others like this. Overturn the outcome against a guy who also popped? Parapikoo, MuayThai101, xaphoon and 12 others like this. This was posted like two days ago. I thought this was going to be official confirmation coming from you. You lost your touch Dim. Black Beast really did a number it seems. pick999 and Chok Sok Te like this. Hotora86, Parapikoo, kila2 and 15 others like this. GiSP and Starnes Massive like this. I searched the forum for Volkov for the last five days, nothing. So whoever did a thread has lost their touch in titles..
wwkirk and WeedLordBonerHitler like this. 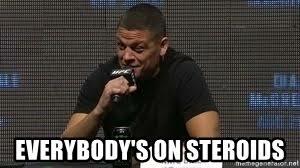 Now overturn the Cain fight! Hotora86, MuayThai101, CBohl and 4 others like this. There’s never been a clean Russian athlete in the history of mankind. 275others, Ying Li and Natesblackshirt like this. I’m actually more excited to see Overeem vs. Oleynik anyway. Hotora86, BarryDillon, VVarhead and 6 others like this. He needed some outside help after not being able to finish BB. CBohl, SalvadorAllende, Natesblackshirt and 1 other person like this. Yeah, always cool to see Oliynik still subbing dudes even though he's 900 years old. Hotora86, VVarhead, Ryan G and 1 other person like this.